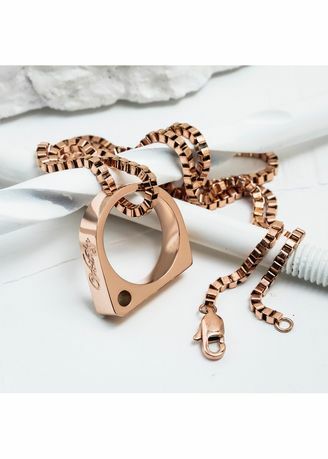 Vitaly Sua Chain Ring - 30"
One of our most design-forward pieces, the Sua is a pendant first-and-foremost. But this teardrop-shaped piece can also be taken off the chain and worn as a slick flat-top ring. Give the chain a half-twist before clasping in order to make it sit flat on your chest. Materials: Stainless Steel. Comes on a matching 75cm (30") stainless steel box chain.